One of the few exterior shots in an otherwise claustrophobic film. 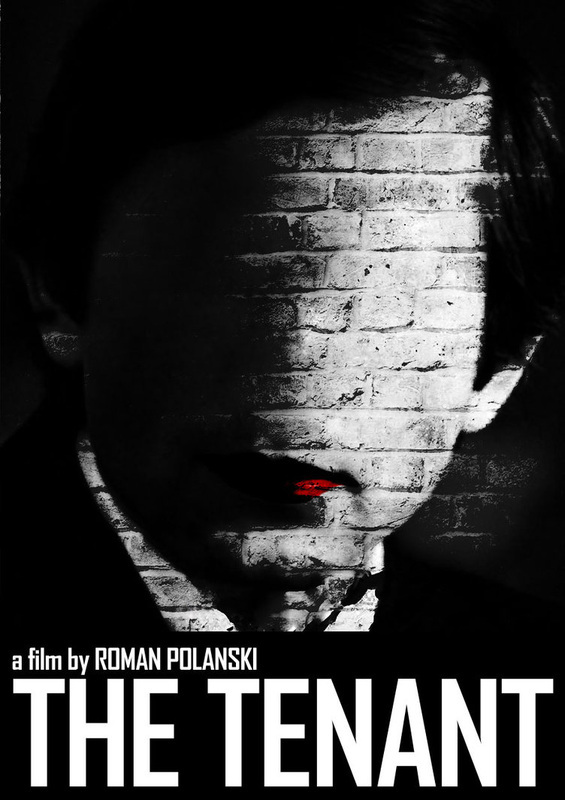 This is the third instalment of director Roman Polanski’s ‘Apartment Trilogy.’ It indeed explores the near claustrophobic environment of apartment dwelling and all its nerve-killing idiosyncrasies. The Tenant is no exception. It’s a slow-building look at how neighbors can drive one to paranoia so deep that it leads to a psychotic break of unimaginable proportions. So much we don't know abut Simone! The main character Trelkovsky, played by Polanksi himself, is an office worker looking for a new apartment. He stumbles across a nice apartment in a creepy building only to find out that the previous tenant, Simone Choule, committed suicide by jumping out the window. She’s not quite dead yet, so of course Trelkovsky does what any of us would do, and he goes to the hospital to pay Simone a visit. There he meets Stella, a friend of Simone. They try talking to Simone (whose face is almost completely wrapped in bandages), who screams bloody murder and chases them away. Simone dies the next day and Trelkovsky moves into the apartment. What I’d like to link to this film is the literary term O. Henry Ending. This is the term for a totally unexpected turn of events that the audience is unprepared for, one which changes the action of the story completely. This kind of ending is very satisfying for most readers as there’s no use of obvious foreshadowing, but in retrospect, the foreshadowing is usually there. This kind of ending and the name of this term derives from the works of short story writer O. Henry (pen name for William Sidney Porter) whose short stories usually turned on twist endings. The most well-known example of this might be his story “The Gift of the Magi” where a poor man and a women love each other so much that they are willing to sacrifice the one other thing they love in order to buy a Christmas present for the other. The woman has beautiful long hair that she adores and the guy has a pocket watch without a chain that belonged to a grandfather or something. He decides to sell his watch to buy combs for her hair and when he presents the combs she reveals she cut and sold her hair to buy his gift…a chain for his pocket watch. SO sweet…cue romantic music! It’s this kind of twist ending that makes O. Henry special enough to have a literary terms named for him. The Tenant definitely deserves this label. The first half of the movie moves along pretty slowly revealing bits and pieces of information, mostly about the mysterious Simone – who is she and why did she jump? Needless to say I’m not going to give away the ending, but it take a severs turn down hallucination alley and we get scenes where people stand and stair in bathrooms and others play soccer with human heads…and well, let’s just say there’s a big story element that’s a nod to Psycho. All leading to poor Trelkovsky repeating history in his own special way…and then there’s the twist in the last few minutes. God, what a twist. It rivals M. Knight Shyamalan’s The Sixth Sense and an awesome example of an O. Henry Ending. A twist you never see coming.